Events last week have brought to mind a similar incident which took place more than twenty years ago involving the killing of three members of a terrorist organisation on Gibraltar, in which there are a number of disturbing parallels. 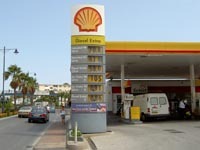 On 6 March, 1988, an SAS (the UK’s equivalent, more or less, to the United States SEALs) team stopped three members of the IRA as they walked near the Shell filling station in Winston Churchill Avenue, the busy main road leading to the airport and the frontier with Spain. The three, Danny McCann, Sean Savage and Mairead Farrell, were planning to detonate a car bomb where a military band assembled for the weekly changing of the guard at the governor’s residence. The SAS team had been informed – incorrectly – that the IRA members had already placed their bomb and were ready to detonate it.